For a Brit planning their first trip, America can seem like a very overwhelming place. Where do you start? Should you spend a week taking in the organised chaos of Manhattan, or maybe take some time to contemplate the country's past, present and future in the capital of Washington DC? How about staying on the plane for a few thousand miles more to visit LA, San Francisco or to sample the culture of excess and indulgence in Las Vegas? And what about everything in between? My first taste of the States came with a series of family holidays to Orlando, Florida, starting from a young age and culminating in 2011. We followed the usual practice of picking up a family car at the airport, renting a spacious vacation villa with private pool, and filling our itinerary with theme park visits, steakhouse dinners, and even a couple of rocket launches from the nearby Cape Canaveral. For a kid growing up in the sedate confines of Lincolnshire, there was something incredibly captivating about the sheer scale of both America's geography and its personality, and our two-week splash-out trips always left me wanting more. Fast-forward to the Summer of 2013 - I'd just finished my first year at university, I had at least four months of Summer holiday to fill, and not a great deal of cash in my account to do it. I could have jumped on the train back home to make the most of the few twenty-five degree days we're treated to each year in England, or perhaps taken a job in Durham to set myself up for 'living out' in second year. Or there was option three; something I'd discovered just a few months earlier, and needed very little convincing to try. BUNAC's 'Work America' programme takes advantage of the J1 Cultural Exchange visa offered by the United States to students of foreign countries. After a few quick paperwork exercises followed by a face-to-face interview at the US Embassy in London, participants can sift through a vast catalogue of seasonal jobs from New York to California, Texas to Illinois, or even as far afield as the islands of Hawaii. It struck me as the ideal way to expand my horizons, experience totally new parts of a country I'd been fascinated with since my youth, and hopefully make a few thousand dollars along the way. Having not been anywhere close to America's west coast before, I was keen to find a job which would give me access to the world-famous natural landmarks and iconic cities centered around California and Nevada; I wanted to see the Grand Canyon, the Golden Gate Bridge and the beautiful forests and national parks which seemed to exist on a scale far grander than anything offered by my native England. I ended up gladly accepting the first job I interviewed for - to spend the Summer working as a general assistant for a luxury camping resort in the Sierra Nevada. The camp itself was located near Sequoia and Kings Canyon national parks, and aimed to attract those who wanted to hike the spectacular valleys, mountains and meadows without sacrificing home comforts such as three-course meals and a king-size bed. 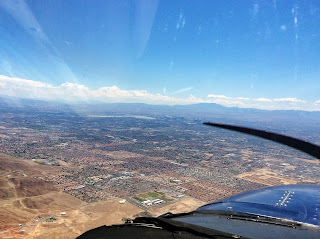 I departed the UK in June on a multi-leg flight which eventually got me to Fresno - a sprawling inland town to the West of the mountain range separating California from Nevada. It was here that I met one of my co-workers, also from England, along with my employers who had made the trip down to pick us up. After a few minutes of introductions, I stuck my small suitcase into the back of their white pick-up truck, grabbed something to eat, and we hit the road. The journey itself up to the camp was fascinating; as the highway miles racked up, we passed through stretches of desert, vineyards, golden hills and tiny towns such as 'Minkler' whose roadside sign proudly proclaimed its census population of 30. Interstate eventually became winding, single-lane road and it wasn't long before we started to gain altitude. Little more than an hour and a half after our journey began, we were eight thousand feet above sea level and negotiating hairpin turns on the loose dirt track which connected the isolated camp to the rest of civilisation. The next four months introduced me to many unique experiences, and the people who came along with them. We had a week or so to set up and furnish the tents, organise the communal areas and adjust to life two hours from the nearest major town before the first guests began to arrive. Our days were then spent greeting newcomers, and ensuring that those already settled in were able to stay comfortable. We would work in groups to keep the place clean, help with preparations in the kitchen, and move all manner of things up and down the camp to where they might be needed. It was also our responsibility to oversee evening meals, making sure that the food and drink were sufficient after a long day on the hiking trails. There were seven other exchange students working alongside me, and we always took the chance to share a meal under the stars at the end of each day before bedding down and getting comfortable in our own tents. Keeping the camp running smoothly was a rewarding experience by itself, but the most exciting work days were those which allowed me to get out and about. Due to the camp's practically non-existent address, everything from food, to waste, to fine wines had to be moved in or out by us, the employees. While never the most glamorous task in the world, I was always first to volunteer to load up the truck with the contents of the dumpster, which was always kept under lock and key with a heavy metal bar to prevent hungry bears from breaking in. I'd then pick my way back down the mountain roads towards Fresno, where I could drop my cargo at the local dump before grabbing lunch, fuelling up, and taking as much time as I needed to enjoy the evening scenery on the way back home. I also made the most of chances to get to know the guests better, while also benefiting from their local knowledge, as I occasionally ferried them to and from the trailheads of the more challenging hikes. The work was sometimes hectic, especially during the peak of the Summer season when six or seven large groups of visitors could keep us busy into the late hours. Every so often though, we were rewarded with a quiet weekend where we could comandeer a couple of cars and head out to some of the nearby sights. We checked out many of the surrounding groves of unique sequoia trees, which towered like natural skyscrapers over the landscape to which they have been rooted for thousands of years. We saw the rugged vistas visible from the top of Moro Rock - a huge granite dome with precarious-looking steps carved into its face, allowing you to test your head for heights as you looked out in all directions from its peak. I was also keen to try the hiking routes which drew people to the camp in the first place. Some of the longer trails covered flat ground and took you to specific features, such as groups of meadows or mountain lakes. My favourites though were the shorter ones, which often took you up rather than out. Lookout Peak was one of the most popular hikes, and for good reason; as you follow the route through the forest, the trees get sparser and sparser until you find yourself clambering up an incline of solid rocks. When you reach the top, there's no mistaking how the peak got its name. In one direction you can see the rich greens of the forest from which you emerged, while in the other it's possible to see right down into Kings Canyon and across to its jagged walls on the opposite side. Another favourite is Mitchell Peak, whose trail begins at the camp itself and ends over ten thousand feet above sea level, with panoramic views in every direction you look. A particular feature of the exchange programme was that we all had two weeks set aside to travel outside of work. For me, this was the perfect chance to cross a few more major sights off the list I'd created at the back of my mind since taking the job in California. When my first free week came around, I hopped on an ageing jetliner for a short flight across the mountains to Las Vegas. Despite only being nineteen at the time of my trip, I still wanted to spend a few days taking in the theatrical glamour of America's entertainment capital; if nothing else, it served as a perfect base for an aerial trip to finally see the imposing magnificence of the Grand Canyon for myself. For my second week, I travelled by train to San Francisco, where the cool Pacific climate was a pleasant contrast to the forty-five degree July heat of Vegas. I spent a few days exploring the city's steep gradients on foot before joining a bus tour, for the sole purpose of being driven across the Golden Gate bridge. As is common, the bridge's two red towers were poking up into the fog as we crossed, and the cool sea breeze was bracing from the upper deck of the open-air vehicle. This all came together to make the experience feel as authentic as it possibly could. When I returned home after my Summer on the west coast, I only had a week or two to re-acclimatise to normality before heading back up to Durham for the start of a new term. Returning to the world of 9AM lectures and cold Autumn mornings, it seemed hard to believe that it was me who'd done all those things still fresh in my memory. Had I really been driving around California, hiking to the top of mountain peaks and walking down the Vegas strip just a month or two earlier? Regardless, there's one thing I definitely did know - I had still just scratched the surface of what America has to offer.